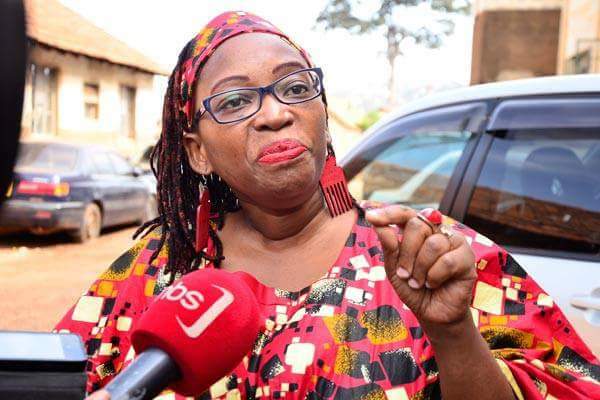 KAMPALA- Doctor Stellah Nyanzi on Wednesday objected to the hearing of her case in which she is accused of insulting the President’s mother this year saying that the charges are defective. When the case came up for hearing, the resident state Attorney, Ms Janet Kitimbo who was ready with her four witnesses who so far include police officers and a senior lawyer Dalton Opwonya; Nyanzi’s lawyer Isaac Ssemakadde stood up to object to the trial and asked the magistrate to dismiss the charges against her. Ssemakadde asked court to set free the embattled Makerere university researcher from Luzira prison where she has spent over two months on grounds that the Director of Public Prosecutions (DPP) erroneously charged her with bad offenses in law. He states that the particulars in each count do not disclose the precise offenses committed by Dr Nyanzi. “The counts are a duplication of each other. Cyber harassment which details three descriptions of obscene, lude or indecent in respect to the facebook post at issue dated September 16, 2018. Each of their description would independently constitute an offence under the law,” Mr Ssemakadde said.